Lots of Subaru owners have insurance, some have insurance that gives them free glass cover but lately at least one local insurance company has said that they will drop the free glass cover option, this means that you will end up paying an excess if you go through the insurance company to have any glass replaced or crack repaired.. if one insurance company is dropping the free glass cover you can be fairly certain that the others will follow! 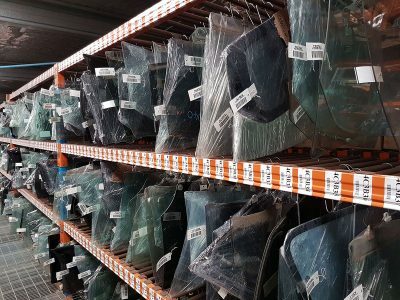 I bet you didn’t stop to think about recycled glass for your Subaru.. at Strong for Subaru we stock hundreds of pieces of car glass, from door glass and rear screens to side glass and windscreen we have heaps available for just about any Subaru model on the New Zealand roads. Used or recycled glass is a great option for you when you either don’t have insurance or have insurance but no free glass cover. Our recycled Subaru car glass is way cheaper than the same new piece of glass, also by using a used piece of glass in your Subaru you are also promoting recycling as every piece of used glass sold is one less piece of new glass that has to be manufactured. Our recycled glass is great value for money and each piece of Subaru glass we sell is carefully checked and cleaned to make sure it’s up to standard, you can’t go wrong. If you live in Auckland we can also arrange for the glass to be fitted at a very good price, in fact our installer will pick up the glass from us and fit it for you! So next time you have a cracked windscreen or a scratched piece of glass give us a call!